This year’s MDSW was, how can I put this, epic. We tromped through the grass, dove into the fleece, and schlepped our treasures back. And boy howdy did we schlep! 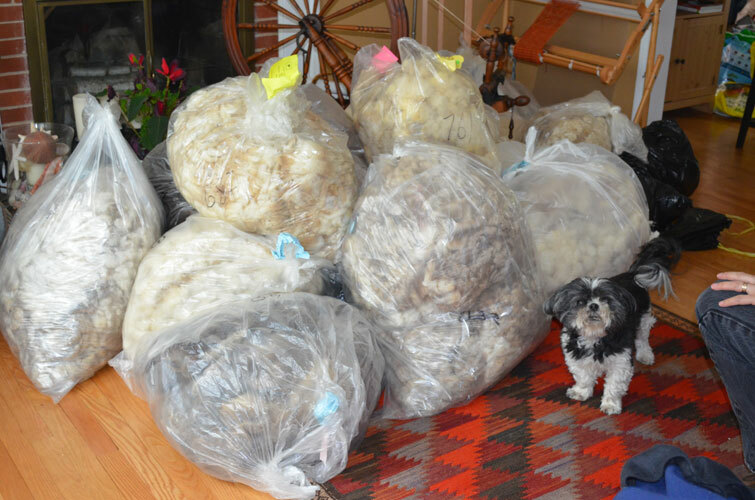 130 pounds (yes pounds) and 25 fleeces later, we have some excellent new finds for you all – and better still, some excellent new shepherd friends! I was very pleased by the festival’s dedication of an entire barn to the fleece sale this year. 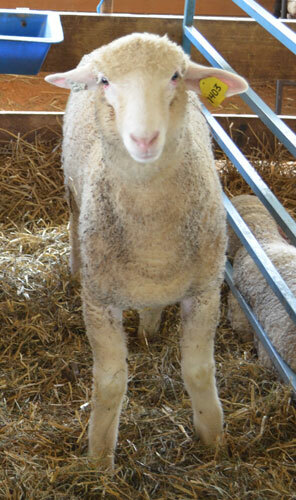 We got to see and fondle far more fleece, in a much more comfortable spot. The volunteers were great as always, and I hope that the sale stays in its new digs for many years to come – at least until it outgrows it and needs something even bigger! I think one of our very favorite finds was a shepherd with Debouillet on offer. Debouillet is a range sheep, normally found in the southwest, and it’s soft, and luscious, and lofty, and downy all at the same time – but not so greasy as a Rambouillet. It’s such fun and I am so excited to have gotten some of these fleeces. 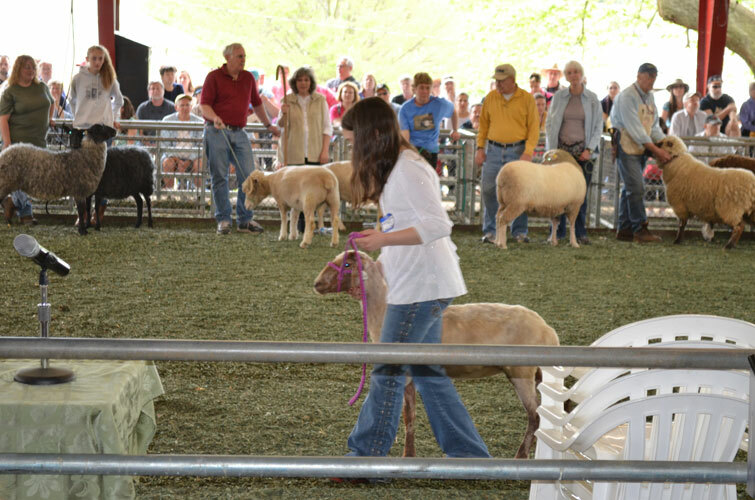 We met many sheep and talked with them about their wool and their experiences at the festival and enjoyed the Parade of Breeds. 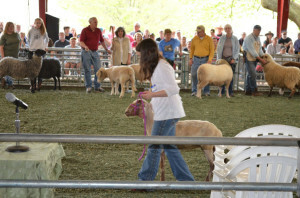 Maryland Sheep and Wool is always a highlight of my fleece year and I enjoy it each and every time I go. We are also developing a Down breed sampler. I often have people ask what things down breeds, such as Southdown, are good for and the answer is oh so many, but for one thing: socks! Down breeds are frequently felt resistant. I often hear that the shorter staple makes them hard to process, but don’t be intimidated my fiber travelers: down breeds flick or card up nicely and are just made for woolen and spinning right from the cloud. I often hear people worry that because down breeds are meat breeds, their wool is really gross and dirty, but do not be alarmed. Down breeds shake out and scour clean with minimal fuss – and since they aren’t as greasy as finewools, there’s less loss to processing! Though you might need to run your vacuum more often while you work with them. So we decided to help you all out by assembling a sampler of some of the down breeds we have in stock to allow you all to try them out for yourselves. Overcome a fear, learn something new, and discover the glorious springy goodness that is a down breed. Meat breeds a fleece friends too! In other news, our intrepid Web Wombat is pondering some experiments in color and will be playing with some natural dyes over the summer. Let him know if you wish to see his efforts made available to you. Finally, I can tell you that, in answer to some of your requests, he will be helping me make scoured fleece (albeit not processed fleece) available to you – and indeed, we currently have some available in the store. Well, that’s all for now – but keep a wooly eye out because there’s a few more things in the works that we here at The Spinning Loft think you’ll be excited about.